In my eBook “Professional Illusion Secrets” (that you can currently download for FREE here), I expound on a chapter I called “The Perfect Illusion Syndrome”. The perfect illusion is the Holy Grail for illusionists. Most illusionists are constantly seeking for the perfect illusion. They believe that ONE illusion will propel their careers to superstardom and lucrative performance contracts. As a result, they spend a lot of their time searching for this elusive illusion that will define their career. There are perfect illusions that fit you at a specific point in your career. I started out my illusion career with a sword basket-type illusion. This was the perfect illusion for me at that point in my career for many reasons. For one, it was small enough to fit into my car. It could be performed surrounded and did not require a large stage to perform. It allowed me to get used to working with an illusion and understand illusion choreography, economy of action and staging. While the sword basket was a “perfect” illusion for me for the first few years of my illusion career, I outgrew the illusion and needed something bigger and more unique. I worked with many different illusions over the years and one illusion that was “perfect” for some time was “360 Sawing”, my redesign and rebuilt of Gerry Frenette’s “Woman’s Revolution”. Is it a perfect effect? No. Is it a perfect-sized prop that is easily transported and can be performed on any stage? No. Did it fit my needs perfectly at that stage of my career as a unique large-scale visual illusion with a cool sleek design & look? Yes. The key is to figure out what is the perfect illusion for you at a specific point in your career but with the added effort of looking for an illusion that is not commonly performed or one where you are able to add your own twist to it. It is good to be great but great to be different. Being different (while being good at the same time) is the key to potential success. One additional point to note is to not fall into the trap of trying to find the “perfect” illusion that can be performed anywhere, anytime with no set-up, re-set or special technical requirements and can fit into the boot of a car. Basing an illusion on the merits of convenience and ease of performing/ transporting/ staging it is “burdening the trick with restrictions” (Steinmeyer, Device & Illusion, Pg 21). As a worker, I understand the need for being practical and convenient, but it is a luxury and should not be a requirement. The goal should always be to find the best illusion you could possibly present, within your means, but never keeping only within your comfort zone. As a designer, I strive to create illusions and figure out solutions for illusions for different show settings and needs. My illusions are far from perfect. But, more than a handful, serve their purposes exceedingly well for myself and dozens of professional illusionists around the world. I’ve seen at least a dozen YouTube videos of “Crystal Metamorphosis” by magicians across the world. Other illusions like “Impassable”, “Benchmark”, “Visual Displacement” and “The Blade Pyramid” are also being performed by illusionists in the US, Canada, UK, Europe, Australia and Asia. Unfortunately, there are also many pirated versions of my “Blinded” illusion used, especially in Taiwan. Thanks guys for stealing my work and profiting from it! None of the illusions are perfect for all illusionists but they are perfect for the right person at the right time in their career. Incidentally, it is heartening when I see one of my designs built from scratch but also modified and enhanced with personal innovations and interpretations. 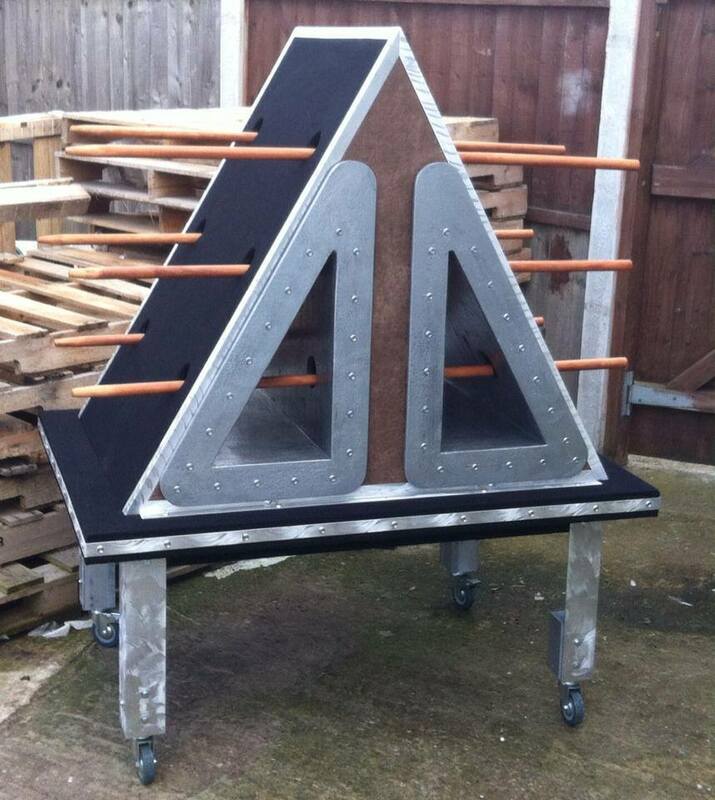 Below is one example from the U.K. built by MagicScape Illusion Design & Construction based of my original “Blade Pyramid” illusion design plans. This will no doubt be the “perfect” illusion for an illusionist at one point in his/ her career. Best of luck in finding the “perfect” illusion for you at this time!